Subtitle: Modern Jewish scholar confirms Cutting Edge contention that the Star of David is an Illuminati symbol with its roots in the Kabbala. This revelation also proves that God allowed wicked men to found modern Israel, just as prophecy foretold! In modern Judaism, there is no more lively debate than whether the hexagram (Star of David) is the ancient symbol of Israel. 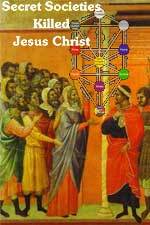 Protestant Bible scholars contend that the hexagram was not Israel's ancient symbol, but that the six-pointed star came out of the Egyptian Mysteries Religion. These Bible scholars also contend that the Star of David is really nothing more, nor less, than Luciferian, which of course, elicits a horrific response from the modern Israeli. Well-meaning Jewish people simply do not want to hear that the common symbol for Israel -- the hexagram printed in blue against the white background of the national flag -- is Satanic. They prefer to hear that the hexagram has always been the symbol for Ancient Israel; such a lie makes accepting the current hexagram much more palatable. But, now, a modern Jewish scholar -- a Kabbalist at that -- reveals that the hexagram was most definitely NOT the symbol of Ancient Israel, but was invented as the national symbol in the 19th Century, A.D., exactly the time period which our own research has indicated. Furthermore, this modern scholar revealed that the first usage of the hexagram as a national symbol occurred exactly where our own research showed, i.e., the First Zionist Conference, 1898, Basil, Switzerland. Let us read what this modern scholar has to say on this most important subject. "In a book by Prof. Gershom Scholem published 27 years after Jewish scholar's death, Scholem maintains that the Star of David was not an ancient Jewish symbol but rather a magical emblem that was only adopted by Jews in the 19th century. Few books are published 60 years after being written. One such book is Prof. Gershom Scholem's 'Magen David – History of a Symbol', which is being released only now, 27 years after the author's death." Exactly! The hexagram was viewed by all occult practitioners as a magical symbol which contains inherent power. In fact, the hexagram was adopted mainly by Black Magick Satanists who painted it on the ground as an integral part of their witchcraft rituals. Mystic Jews held this same belief and practiced the same Black Magick rituals! Let us now return to Professor Scholem's understandings. "Prof. Scholem, one of the greatest Jewish scholars of our time, a researcher of Kabbalah and Jewish mysticism and one of the founders of the Hebrew University in Jerusalem, conducted a 50-year study of the history of the Star of David. He published a short summary of the study in 1949, shortly after the symbol was chosen to appear on the new state's national flag. " Now we understand!! 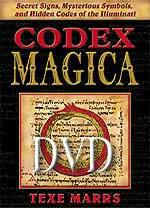 Professor is a researcher of the old Jewish Kabbalah system of magick! As we demonstrate in our MP3 CD, "Secret Societies Killed Jesus Christ", the reason the Pharisees and Sadduccees hated Jesus so vehemently and plotted to have the Romans crucify Him -- even though they KNEW He was the prophesied Messiah -- was because they were worships of Lucifer! You see, the Pharisees and Sadduccees were practitioners of an oral tradition mysticism which in the 12th Century was codified and written down, and called the Kabbala! Of course, it makes extreme sense for the usage of the hexagram as Israel's national symbol would come out of the practice of the ancient Kabbala. Since Professor Scholem is a researcher of the Kabbala, he would have the correct understanding of the origins of the hexagram. "In his article Prof. Scholem stated that, "The Magen David is not a Jewish symbol, and therefore not the 'symbol of Judaism'." "According to Scholem, the hexagram symbol was once known as Solomon's Seal and was used both as a decorative pattern and a symbol to which magical powers were attributed. It was first documented on the seal of Yehoshua Ben Asia during the period of the late kingdom, 2,700 years ago." The good professor is again entirely correct. But, at this point, we want to digress from this YNET news article so we may study a book by Dr. O.J. Graham entitled, "The Six-Pointed Star". While this book is currently out of print, we encourage you to get a copy from a used book dealer so you can understand this critical information properly. The first point you must understand is that current Illuminati leaders all venerate the Kabbala. 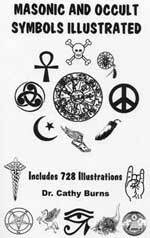 It is the cornerstone of all occult belief systems. These mystic systems of thought stream through Judaism all the way back to the Babylonian Mystery Religion of nearly 4,000 years ago. 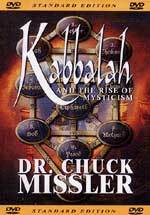 In fact, during the 70 years of exile in Babylon, apostate Jewish priests studied the Babylonian satanic mysteries, and gave them a unique "Mystic Jewish" twist. These twisted, perverted beliefs eventually came back into Israel as a secret society. By the time Jesus began his ministry, this pre-Cabala Oral Tradition had fully captured the Jewish priesthood. Its leaders were the Pharisees and Sadduccees! While the people believed these leaders to be most holy, Jesus knew their hearts and their secret worship of Lucifer through the Oral Traditions, later codified and called the Cabala! Let us now examine the Babylonian Talmud and its relationship to the modern Kabbala. Let us listen to some facts about the Talmud. Satanists view King Solomon as one of the most powerful shamans in all history! This startling information brings us back to our picture, above, of President Bush posing for over 4 full minutes in front of the Illuminist Israeli flag. If you have not read NEWS2128, we ask you to stop reading the rest of this article so that you may gain the insight you need to finish this article. The Jewish citizen who was outraged, and upon whose comments NEWS2128 was written, summed up the situation well as we see it today. Upon this truth, we shall build the rest of this article. In the above quote from Dr. Graham, we see that the Talmud is "steeped in the Cabala"! This fact means that the entire New World Order system is based upon the Babylonian Talmud! Now you can understand why we had sent WMD Special Forces deep underground to search for this ancient copy of the Babylonian Talmud. One of the reasons we invaded Iraq was to seize control of the land where the Babylonian Mysteries began! You see, the Babylonian Talmud is the basis of the current Zionism that rules Israel today. The same Illuminism that controls the governments of the United States, Great Britain, Israel and the leaders of all the 10 supernations [NEWS1002] also controls Israel today. Now that the Illuminati controls the land where the Babylonian Talmud began, the next area they want to control is Jerusalem generally and the Temple Mount specifically; only when they control the Temple Mount and dispose of the Dome of the Rock, can they re-build the Temple of Solomon, thus literally fulfilling the Legend of Hiram Abiff they have been practicing so many centuries. [NEWS1643]. Thus, you can see that the line of history of the Kabbala, their symbol, the hexagram, the Babylonian Talmud, all pour into modern global Freemasonry and their plan to stage the Masonic Christ (Antichrist) and rebuild Solomon's Temple -- all in fulfillment of many Bible prophecies. In our conclusion, let us state one more fact. The hexagram became a symbol of the modern state of Israel because the House of Rothschild was underwriting the entire First Zionist Conference in 1898, and during the course of that conference, insisted that hexagram be established as the symbol of modern Israel. When this occurred, God began the process of allowing Israel to come back to her land in a state of unbelief, just as Ezekiel 37:8d foretells. When God prophesied that the land of Israel would come out of the graveyard of nations, He stipulated that, after they stood on their feet, a nation once more, there would be "no breath or spirit in them". Since this reference was obviously to the Holy Spirit, Protestant Bible scholars have always maintained that this prophecy is stating that Israel would come back to her land at the End of the Age in a state of unbelief in Jesus Christ. Not only is this scenario exactly what occurred, but God allowed the Luciferian Mason, the Rothschild Family, to be the great mover and shaker and financier of the Zionist Movement, which spawned the rebirth of Israel in one day, May 14, 1948. This Masonic thrust will guide Israel to the acceptance of Antichrist and then to the first 3 1/2 years of the Tribulation Period. "Behold I will make them of the synagogue of Satan, which say they are Jews, and are not, but do lie." But, God will place such hatred in the heart of the Antichrist that he will turn against the modern Israeli Illuminati leadership and attempt to kill them all, along with all Jews on earth. At this point, both Matthew 24:15-18 and Zechariah 13:8-9 will be literally fulfilled. 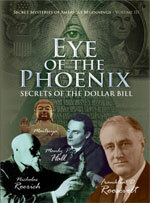 Thus, you can see how important the symbolism of the hexagram is to the modern Illuminati Jew. Under this symbol, Antichrist will arise. What, you may ask, is the real symbol for Ancient Israel, the symbol God authorized? Now you know the truth. Tell all your Jewish friends. The very fact that this gigantic hoax could be foisted upon the unsuspecting Jewish people is itself a "sign of the times". Are you spiritually ready? Is your family? Are you adequately protecting your loved ones? This is the reason for this ministry, to enable you to first understand the peril facing you, and then help you develop strategies to warn and protect your loved ones. Once you have been thoroughly trained, you can also use your knowledge as a means to open the door of discussion with an unsaved person. I have been able to use it many times, and have seen people come to Jesus Christ as a result. These perilous times are also a time when we can reach many souls for Jesus Christ, making an eternal difference.